9 Shots of brocade with green glitter, brocade with white glitter and brocade to blue stars. &nbs.. 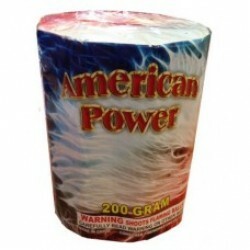 This 15pc assortment contains plenty of fire power to show your spectators who's the boss ! Asso..
A Traditional Favorite with a Major Upgrade! 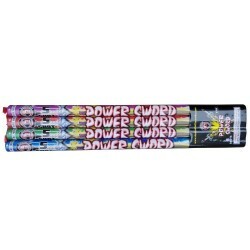 This Roman Candle Shoots 5 Multi-Colored Flaming Balls ..
12 Shots of crackling tails rising up to red, green and silver coconuts and crackle with a 3 shot fi..